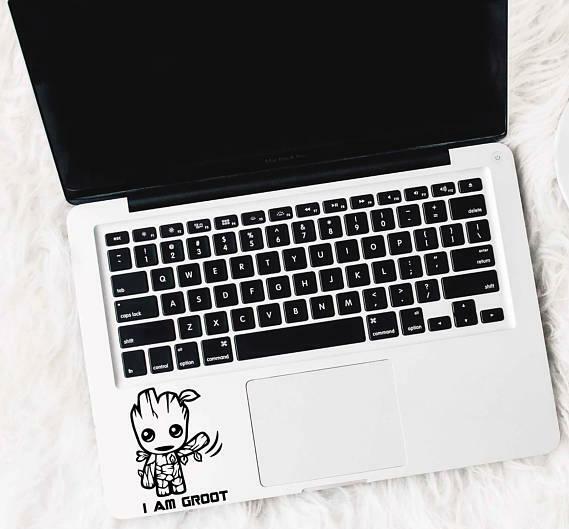 Baby Groot is cute, adorable, and naïve, he is an iconic member of the superhero team or shall we say band of misfits ready to take on any challenge that comes their way. Now we have the 'Best Groot Themed Products' from all over the world, so that he can be a part of your day-to-day life. 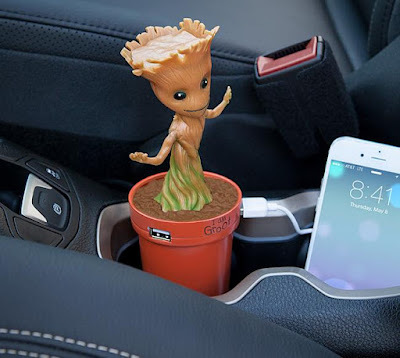 Groot USB Car Recharger: The Groot USB Car Recharger features two USB ports, provides 2.1A output and lets you recharge two devices on the go. Just plug it into your car's 12 volt socket, and it dances while plugged in. 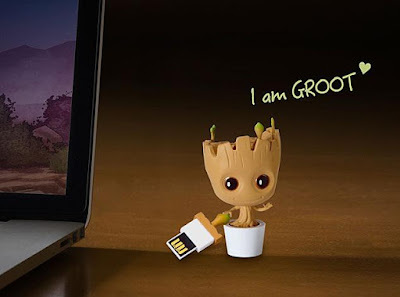 The little guy comes in a flowerpot and stays safe inside your cup holder. Buy Now: $39.99. 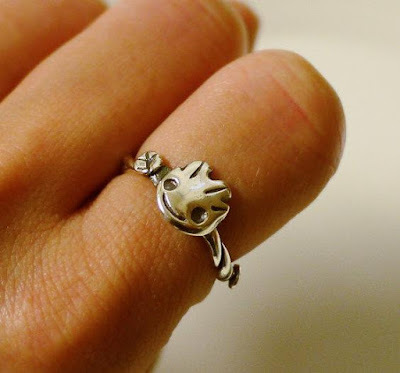 Baby Groot Silver Ring: The Baby Groot Ring is handmade from silver, features Baby Groot's face, entwined branches for the ring and small leaves growing around the ring. Simple yet elegant. Buy Now. 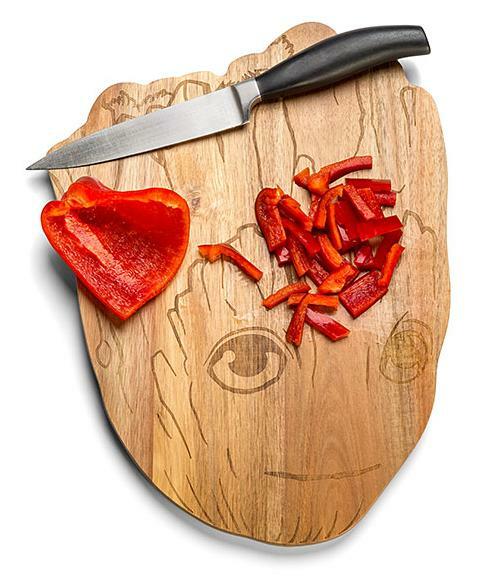 Baby Groot Wooden Cutting Board: The Baby Groot Wooden Cutting Board is shaped like Baby Groot's head, measures 15" x 11 1/4" and will not grow larger. Buy Now: $19.99. 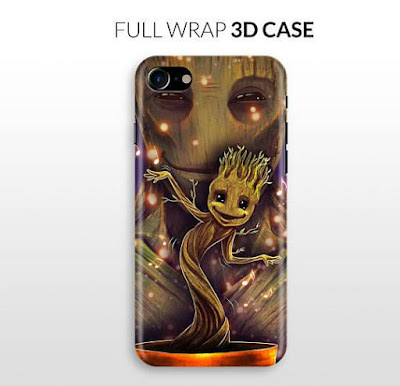 Baby Groot iPhone 7/7 plus Case: The Baby Groot iPhone 7/7 plus Case comfortably snugs on your favorite smartphone, while maintaining slim profile and providing protection. It provides access to the buttons, and cutouts allow easy access to phone functions. Buy Now. 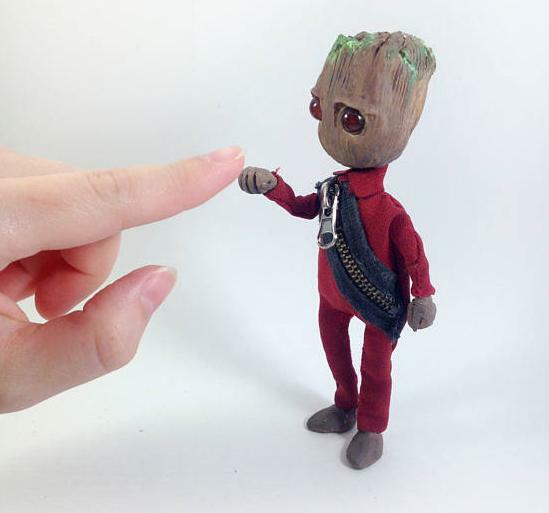 Baby Groot Doll: The Baby Groot Doll measures 5.7 inches (14.5 cm) tall, can stand and sit, and can take various postures. Its hands and legs are on steel wireframe, and bends easily. Buy Now. Baby Groot Decal: The Baby Groot Decal is sure to look cute on your Macbook, smart phone, car window and bumper, water bottle, notebook and more. Buy Now. 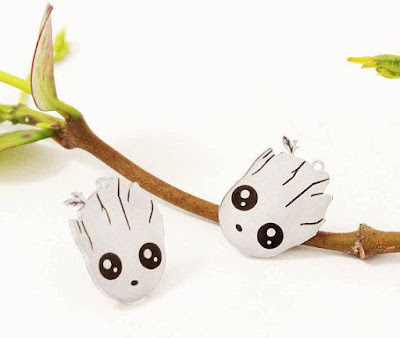 Baby Groot Earrings: The Baby Groot earrings are made with solid stainless steel, is sure to look cute when you put them on. These are also available with fishhook earrings. Buy Now. Baby Groot Outfit: The Baby Groot Newborn Costume consists of adorable Baby Groot inspired hat and diaper cover. 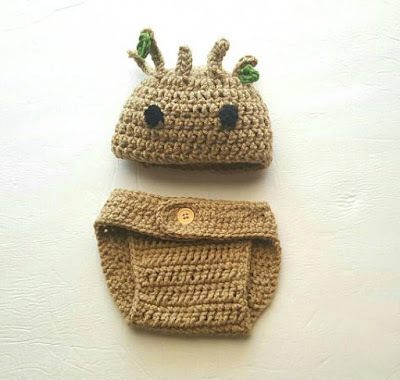 The beanie keeps babies head warm, while the diaper cover waistband has an adjustable button closure and an adorable leaf on the bottom. Buy Now. 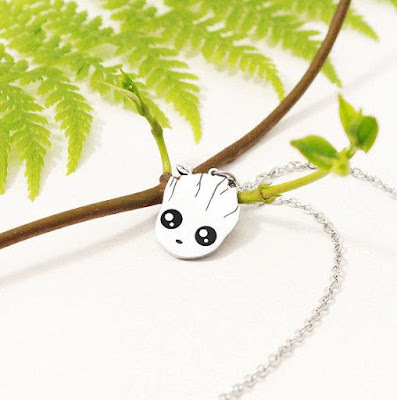 Baby Groot Necklace: The cute Baby Groot pendant is made from solid stainless steel and on its polished back has the words "I am Groot". Buy Now. Groot Mini Fridge: The Groot Mini Fridge keeps your food cool or warm at the perfect temperature. You can plug it into a standard U.S. wall outlet or 12V DC power source. 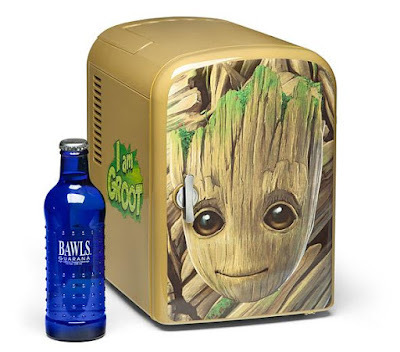 It holds 6 cans of soda and has a temperature range of 64° F (cooling) and 140°F (heating). Buy Now: $59.99. Dancing Groot Figure: The Dancing Groot Figure dances along to its built-in music "I want you back". Apart from this, he also dances to any sounds you make or music you play. Buy Now: $19.99. 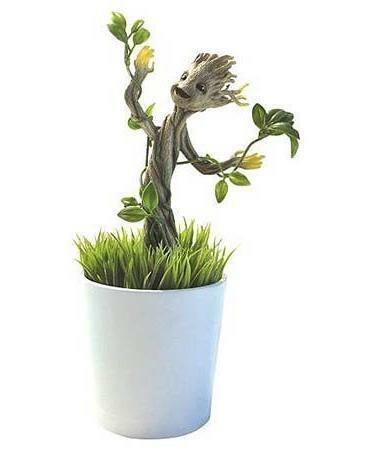 Grow and Glow Groot: How about creating your own Groot plant? Now you can grow two different plants that surround the Groot, turn on the light-up branches and display your growing Groot. Buy Now: $19.99. 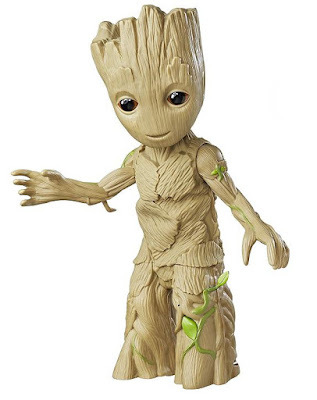 Dancing Groot RC: The Dancing Groot RC features two dancing modes - one that lets you control it and the other one is groove mode that let's him do his own moves to any song. Its "shout out" button on the remote activates 4 different "I am Groot" phrases. Buy Now: $25.48. 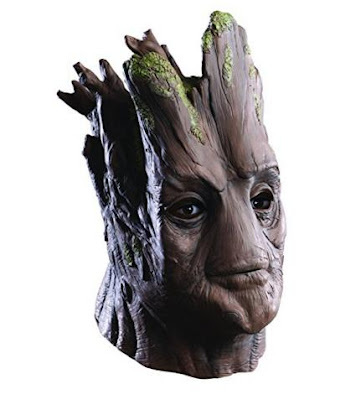 Groot Mask: Now that you got the Groot Mask, you need to get started to make the rest of its body yourself. Buy Now: $33.98. 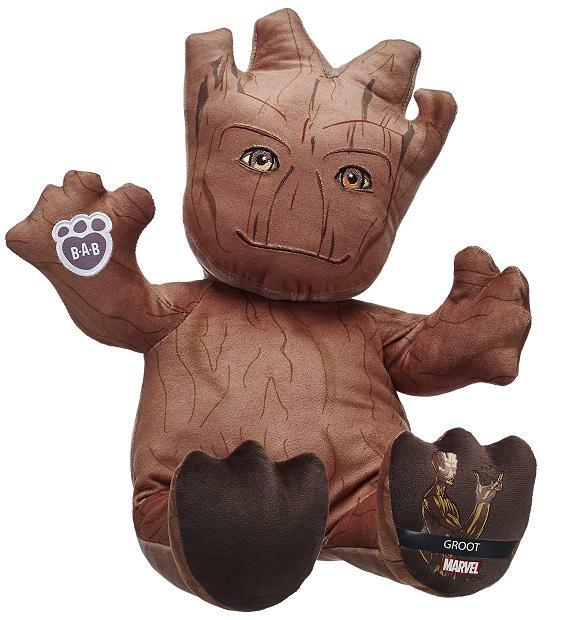 Baby Groot: The Baby Groot plush comes from Build-a-Bear. Buy Now: $40. Groot as Mr. 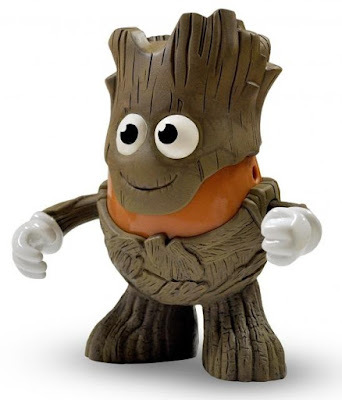 Potato Head: The Groot Mr. Potato Head Poptater is a collectible figure that stands over 6" tall and comes with multiple components that make Groot perfect for all to display or play. Buy Now: $19.99. Groot USB Flashdrive: This cool USB flashdrive is shaped as Groot, features exquisite detailing, measures 39.5 x 41 x 69mm, and comes in two storage capacities: 16GB and 32GB. Buy Now. 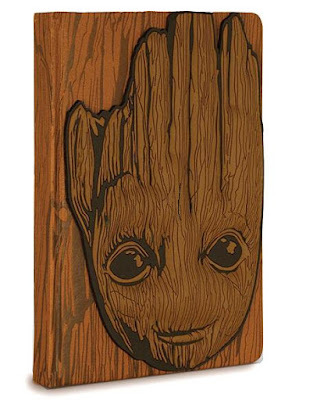 Baby Groot Book: The Baby Groot Book features the adorable Baby Groot on the cover, come with 240 unlined pages for writing and its cover looks like it's made of wood. Buy Now: $19.99. 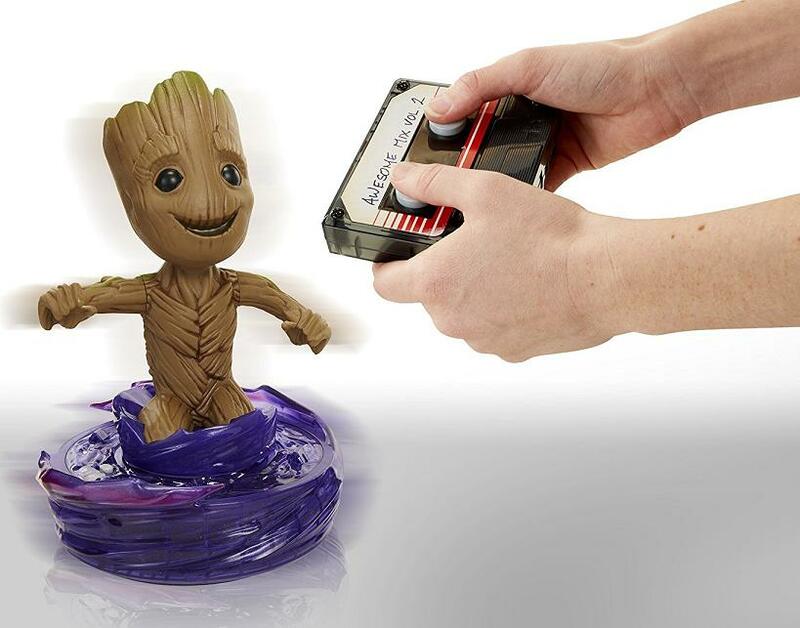 Dancing Groot: The Dancing Groot measures 11.5-inch almost the size of Baby Groot, it dances to internal music and external music; when it detects music, its eyes light up and it starts to dance. It also features a clip from the song 'Come A Little Bit Closer' from the movie soundtrack. Buy Now: $29.03. 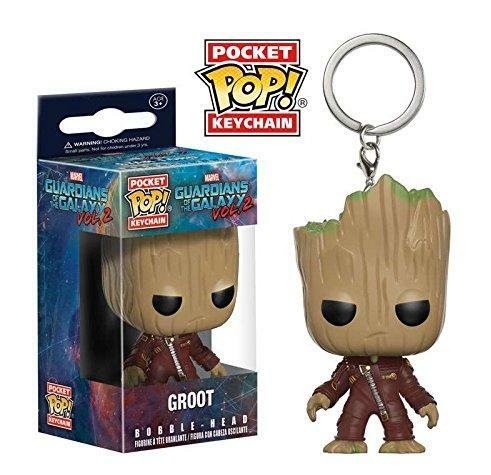 Groot Keychain: Now handover the responsibility of managing your keys to Groot. This cute keychain is 1.5" inches tall. Buy Now: $11.48.